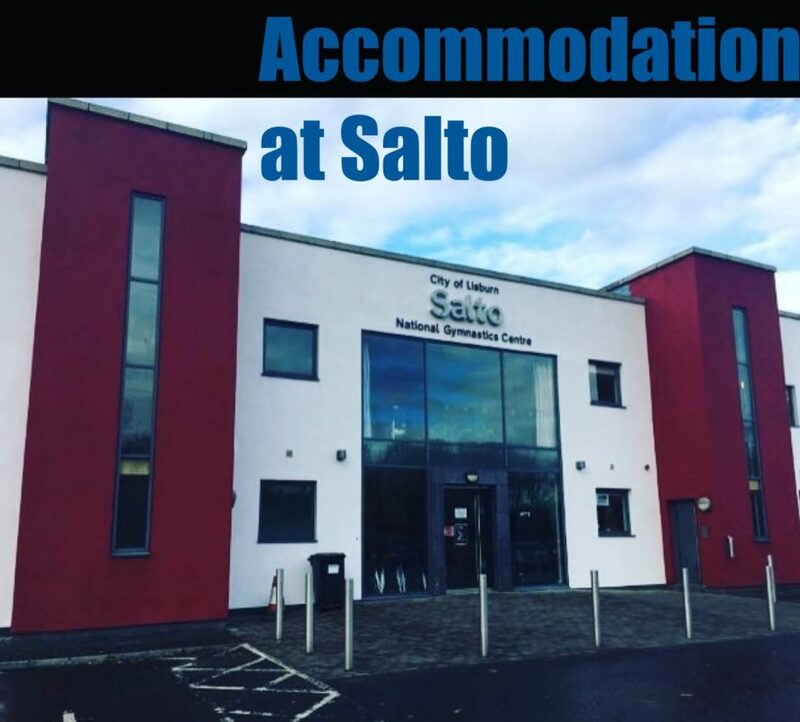 City of Lisburn Salto have played host to many gymnastics camps over the years. Visiting Clubs have benefited from onsite facilities that accommodate 16 gymnasts and accompanying coaches. Main living space, widescreen tv, free wifi, kitchen, two shower rooms and laundry room. Access to the gymnasium for early training sessions. Our facility is within walking distance of restaurants, swimming pool, cinema and bowling.